Dateline May 1, 2018: GLACIER PARK MODELS is pleased to announce a BRAND NEW RELEASE! 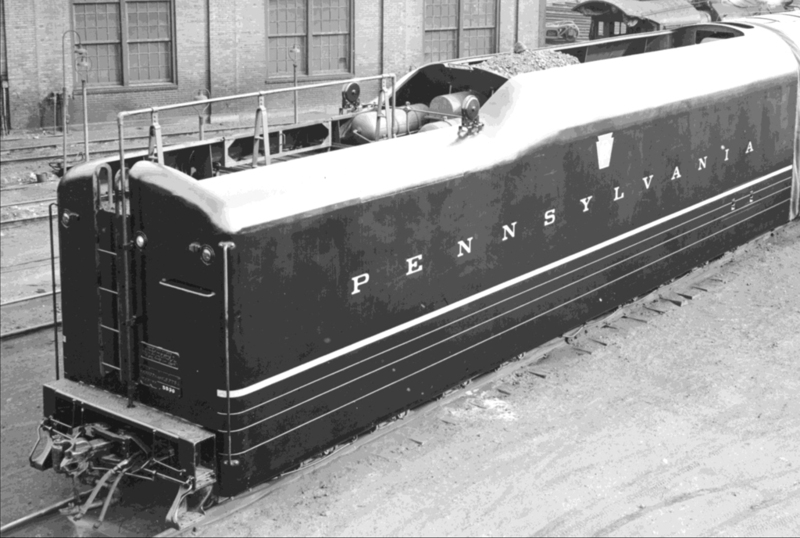 The PENNSY or PENNSYLVANIA Class T1 4+4+4+4 Duplexes in HO Scale! CLICK THIS LINK TO SEE OUR PILOT MODELS! We're Glacier Park Models, P.O. Box 244, Ukiah, California, 95482. Number 5536 was a wanderer... 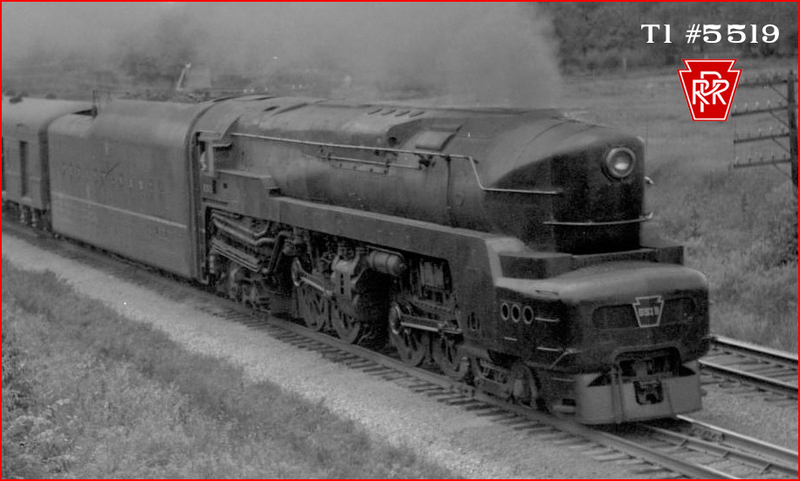 Originally assigned to the PRR's famed "Middle Division" in Pennsylvania, she could be spotted in Chicago, Fort Wayne, Cincinnati, and even St. Louis! Unique to all "as built" T1s was her a fully shrouded tender with details never before captured in any scale. Full "Train Phone" antenna and receiver coil details. Sliding shrouds, just like the prototypes, to ac-cess the water hatches. 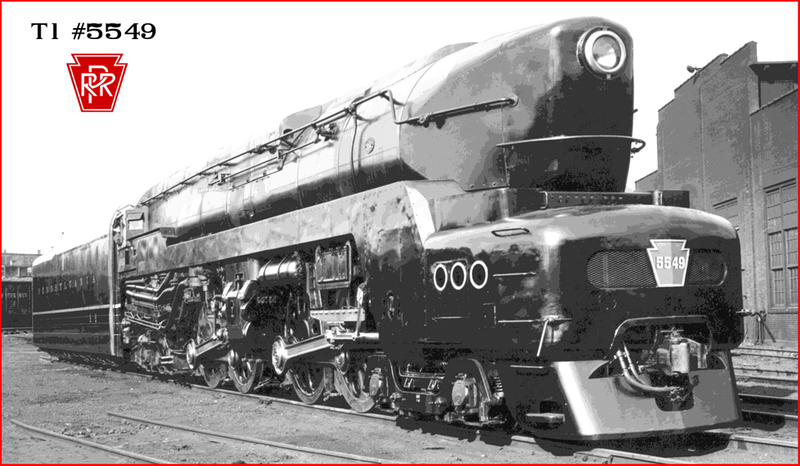 Unlike the Altoona builds, number 5549's Baldwin siblings had a very unique feature: a piece of sheet metal over the second set of cylinders as can be seen in this photo... 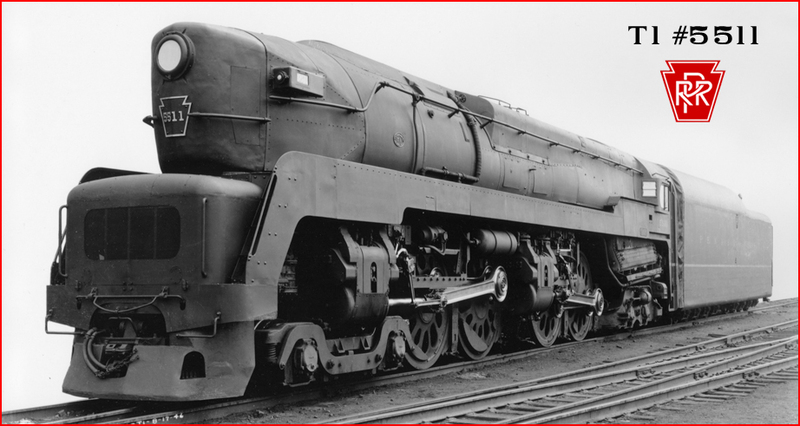 This was added to continue the streamlining under her running board and has never been modeled until these models from GPM are released! All Factory Painted, of course, and all equipped with Tsunami II ® DCC with Sound and Lights! WARNING: This site features Adult Hobby Products unsuitable for children under 14 years of age. This Page and its Contents are Copyrighted Material c. 2006 - 2018 - Glacier Park Models - All Rights Reserved.